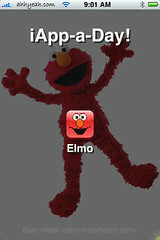 Developer’s description of app: Tickle Elmo! Hehe! 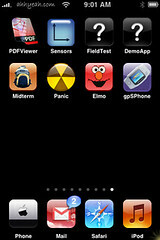 I bet you can guess what this app does. 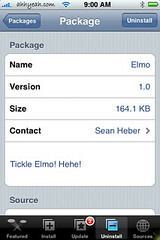 That’s right, it simulates a tickle me Elmo doll. 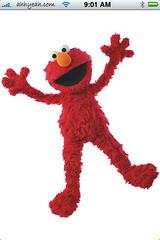 Just tickle elmo and the iPhone vibrates and laughs just like the real doll! A big difference from the original doll is the lack of variety in the laughs. Here’s what it sounds like.